Dr Pandit is a prominent dentist, based in Ahmedabad, India. He obtained his dental degree from MRA Ambedkar College of Dentistry, Bangalore, India. 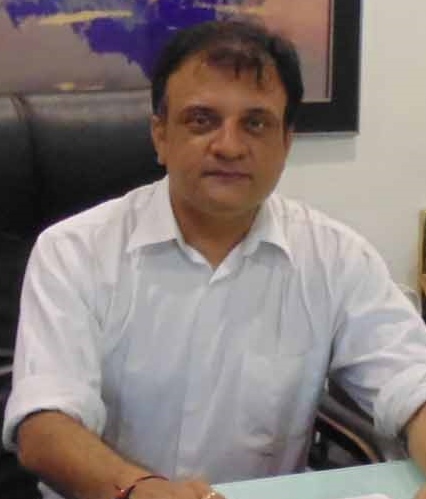 He has worked with the renowned Dr Gautam Patel for over 5 years before establishing his own practice in Naranpura. Dr Pandit has a finely honed dental skill set. He likes to keep up-to-date with the latest technologies and techniques in his field and frequently attends seminars and conferences for this purpose. He has an astute mind, a firm yet friendly manner and a gentle touch. Dentistry is his first passion. Dr Pandit knew early on, since his high school in England, what he intended to do in his life. He also enjoys playing cricket, badminton, going to the gym, and spending time with his family. He lives in Satellite, Ahmedabad, with his beautiful wife Sneha and his daughter Parin and son Reyansh.